Meilinger Consulting, P.C. is a Greenville Consulting Firm known for its capabilities as a financial expert and is often hired for reasons varying from consulting on financial forms required by the court to investigating complex situations involving uncovering hidden assets and un-reported income streams. Meilinger Consulting’s “Equitable Divorce Solution” provides a blueprint, which shows our role in your case from the onset to its resolution. Divorce proceedings can be difficult and stressful, and it is our goal to alleviate that stress by performing the majority of the financial work upfront so our clients can focus on the other issues at hand. We can provide analyses to determine an individual’s need or ability to pay support, value assets, and forensically trace and value funds as your financial expert. By performing as many of these analyses as possible early in your case, we will be fully prepared to act as an expert witness or assist in mediation well before that is necessary. 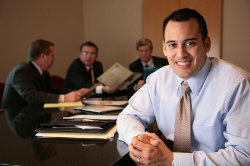 Our goal is to ensure that our clients have the information they need at hand prior to going to mediation or court. Meilinger Consulting attempts to focus our clients on the issues that can be resolved throughout the process. It is our goal to assist your attorney and you in reaching an equitable settlement concerning support, marital assets, and other unique financial matters in your case. We provide objective advice and support for our clients during this emotional time. Our expert abilities and professional support are instrumental in providing a clear, strong testimony regarding your financial situation. All in all, Meilinger Consulting’s services are totally focused on our clients and in achieving an equitable resolution to their situation. One-Hour Consultation ($300 consultation fee requited. If you become a client, we will apply this fee towards the cost of your retainer). Let us know how we can assist you in your divorce. Call Meilinger Consulting P.C. today at 864-288-3049.